At Home, In Stawell | Rotary Stawell Inc.
What a great little place to live and work. 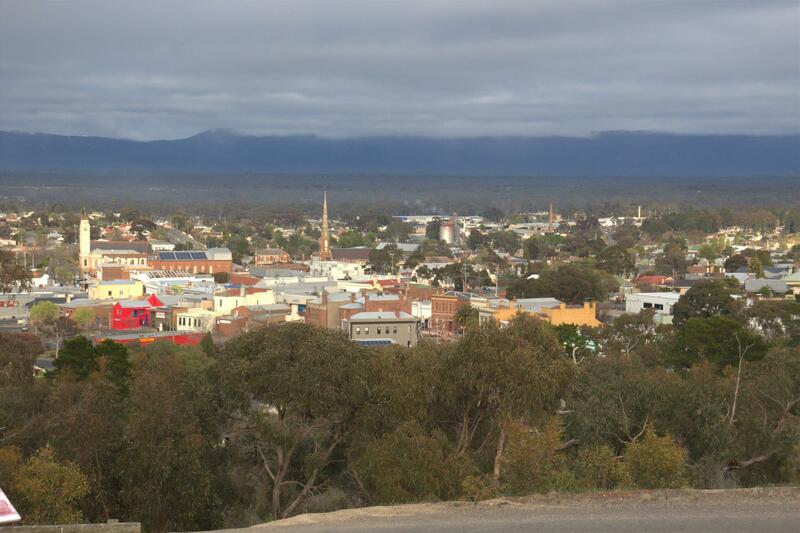 If you haven't been to Stawell yet, what's keeping you? You will have one of the best views of the Grampians from our Main St. This is an amazing little town with great facilities that many larger towns would love to have, such as a state of the art Community Centre, which caters for everyone from medical rooms to a cafe. There are elevators to the upper floors for physiotherapy and many other services all within the same precinct. The Skene Street Special School, for challenged youngsters, being the absolute latest thing for these children anywhere in the state. Add to that, a great Hospital, aged care and nursing facilities, library, multiple primary schools and secondary college, an industrial complex, and a gold mine that is restarting operations. With a bus service around the town, taxis, we even have a part of our rail service back! We also have the iconic Stawell Gift, that event that fills the town over Easter. There are remainders of our past everywhere you look, with some wonderful old buildings, and monuments all throughout the township. Stawell in located on the Western Highway, approximately three hours from Melbourne, 27kms from Ararat and 25kms from Halls Gap. The area is largely a farming community, with sheep and cropping the major outlets. We have numerous motels and hotels with a variety of restaraunts. It's all here in Stawell!